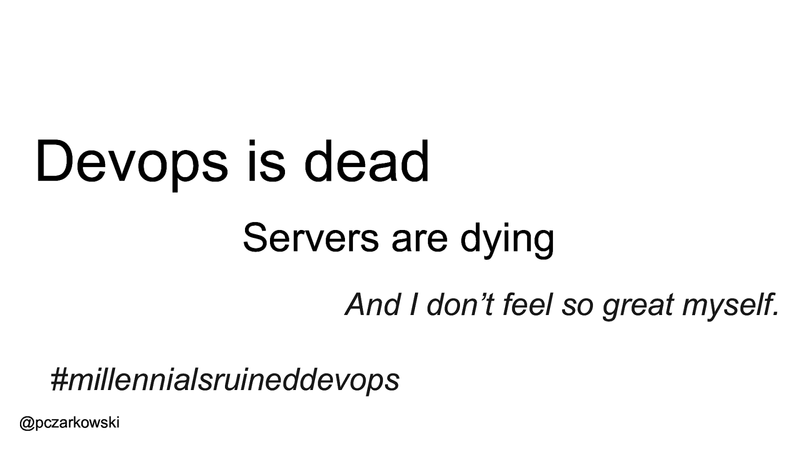 View devops is dead, servers are dying, and I don't feel so great myself on Notist. A (hopefully) humorous look at the current state of DevOps and the affects of the rise of Kubernetes and Site Reliability Engineering on DevOps, how the culture is changing (again! ), the tools are changing, and how we deploy and operate applications are changing. At the same time Serverless has exploded onto the scene and the thought* leaders are once again throwing terms like NoOps around.